We all know that maintaining a healthy diet is vital in terms of type 2 diabetes prevention and treatment. 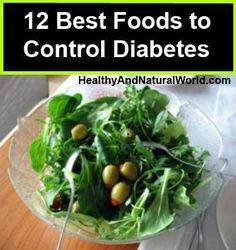 Generally, the advice given to diabetics is relevant to the general population as well: consume adequate vegetables, fruits, legumes, whole grains, low-fat dairy products, poultry and fish, and less industrial sweets and foods high in fat and salt. It is known that patients who use professional advice and expert dieticians and nutritional supervision have a much better chance to maintain balanced levels of sugar, and avoid the complications of the disease. Diabetics should also keep meals at regular times throughout the day to avoid sharp rises in blood sugar levels. Oil lacks carbohydrates, and therefore does not raise blood sugar levels. In addition, it slows the absorption of foods eaten along with the oil. Olive oil is rich Omega 9 and Omega 3 which help maintain the flexibility of blood vessels, allowing good blood flow. Also oil does not increase insulin levels, thus reducing the non-insulin tolerance that exists in many people and causes an increase in blood sugar levels. Many studies show that consumption of one teaspoon cinnamon (2.5 g) to three teaspoons a day has a positive effect on reducing blood glucose levels. It was found that the cinnamon can make your cells more sensitive to insulin. Thus, the cells convert sugar into energy more efficiently and control the amount of sugar level in the blood. Diabetics who received cinnamon extract daily for 40 days experienced lower levels of blood sugar after eating, as well as substantial improvements to the heart health. Green tea contains the antioxidant EGCG, which helps to maintain the flexibility of blood vessels and stabilizing blood glucose levels. A recent study conducted at the University of Pennsylvania found that this element reduces blood sugar levels and prevents its sharp rise after a meal consisting mainly carbohydrates. Oats contain a high percentage of fiber, B vitamins (especially B1), vitamin E and antioxidants. The large amount of fiber causes a slower absorption of glucose, and combining antioxidants makes the oatmeal recommended food to stabilize blood sugar levels. A recent study conducted in Finland found that men who ate the greatest number of apples (and other foods rich in quercetin) had 20% less deaths related to diabetes or heart complications. Other good sources of quercetin are red grapes, tomatoes, onions, green vegetables and berries. Those who suffer from diabetes are twice more likely to suffer also from heart disease. A diet rich in omega-3 fatty acids found in cold water fish, can help to lower “bad “cholesterol and raise your “good” cholesterol. Seafood is a great source for omega 3, such as: halibut, herring, mackerel, oysters, salmon, sardines, trout, tuna and cod. Vegetables, especially green leafy ones, such as: kale, parsley, mint, Brussle sprouts, spinach and watercress, are rich in ALA, one form of omega-3 fatty acids (although ALA isn’t as powerful as the other omega 3 fatty acids, DHA and EPA). Ground flaxseed is also a good source of omega 3. According to webMD website, the effect of ACV on blood sugar levels is one of the best researched and the most promising. Several studies have found that vinegar may help lower glucose levels. For example, a small 2007 study with type 2 diabetes found that taking two tablespoons of apple cider vinegar before bed lowered glucose levels in the morning by 4%-6%. Dilute the ACV in a glass of water and drink (you can add a little bit of honey to improve the taste).